BIRTH: Wooldridge: It's a boy! Cindy Wooldridge and Cody Gordon of Lebanon announce the birth of their son on March 12, 2011 at Spring View Hospital in Lebanon. Corey Michael Wooldridge weighed 7 pounds, 12 ounces and was 20 inches in length. Maternal grandparents are Bill Wooldridge, Deb Wooldridge and Bernice Ford of Campbellsville. Paternal grandparents are Jimmy and Donna Gordon of Raywick. BIRTH: Scott: It's a girl! Julie and Terry Keith Scott of Willisburg announce the birth of their daughter at St. Joseph’s East Hospital in Lexington on Jan. 29, 2011. Isabella Rose weighed 6 pounds, 6 ounces and was 19.5 inches in length. She was welcomed home by her brothers, Andrew, Daniel and Samuel. Maternal grandparents are Larry Shouse of Lawrenceburg and Rosanna Yeager of Lexington. Paternal grandparents are Terry and Donna Scott of Willisburg. The tournament is over, and Connecticut is the national champion of the men's college basketball tournament. 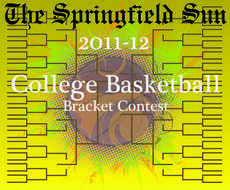 With that news also comes the announcement of winners of The Springfield Sun's reader contest. Points were awarded for correct picks in each round of the tournament, and the overall winner will receive $100, while the second-place finisher will receive $50. Keep living a healthy lifestyle, Washington County. It’s paying off. According to research released by the University of Wisconsin in Population Health Institute and the Robert Wood Johnson Foundation, Washington County is the seventh healthiest county in the state. Boone, Oldham, Calloway, Woodford, Scott and Lyon counties are the six counties that ranked above Washington County, with Boone being the healthiest. There’s a new sheriff’s deputy in town. 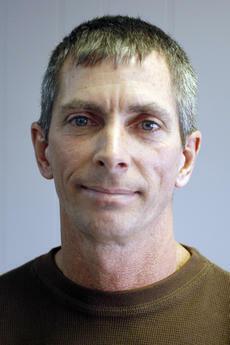 Jerry Pinkston recently hit the streets of Washington County as a new deputy. Pinkston is a new officer, but law enforcement is something he has always wanted to do. “I had interest in law enforcement when I was in high school, I just never had a good opportunity to do it,” he said. Pinkston provided court security at the judicial center before he was offered a job by sheriff Tommy Bartley. In his spare time, he also farms and runs a repair shop in East Texas. Washington County volunteer Pat Sutton has been campaigning against child abuse for 15 years now. Unfortunately, her fight has to continue again this month during Child Abuse Prevention month. Sutton spoke before the Washington County Fiscal Court on March 25 during the regular scheduled meeting. She said she didn’t think Kentucky was ranked first in the nation for child abuse cases, but it still ranked very high. The YMCA youth soccer league will begin May 7 through June 11. We are still in need of coaches for the league. If you are interested in being a coach, we are hosting a coaching clinic on April 9 at the WC Extension Office at 1 p.m., or call Nicole Myers at (859) 481-2182. All parents will be notified soon of their childs team placement and coaches information. Jim Coomer has come on board as the new coach of the newest sport to be offered at St. Catharine – men’s and women’s tennis. St. Catharine is not new to Coomer who currently is finishing the season as assistant women’s coach at Bellarmine University.